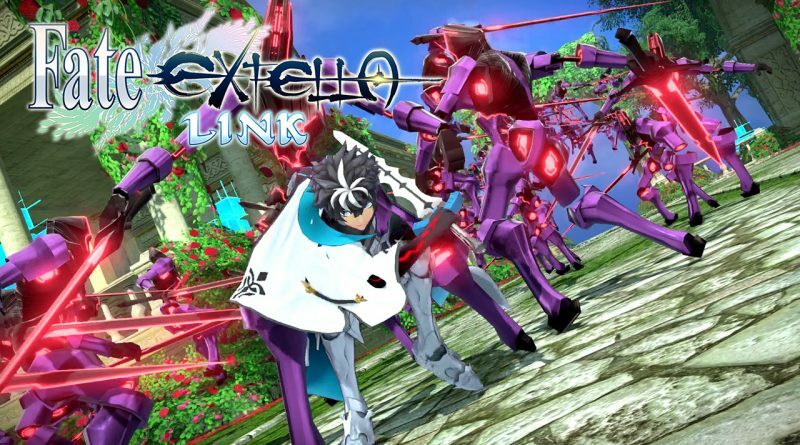 XSEED Games today announced that Fate/Extella Link will launch for PS Vita and PS4 in North America and Europe in Q1 2019. The PS4 version will be available both physically and digitally for $49.99 and the PS Vita version digitally for $39.99. A premium Fleeting Glory Edition for PS4 will be available at a suggested retail price of $79.99 and contains a soundtrack CD, a pack of 10 collectible 3″ by 5″ cards depicting each of the new Servants, a 17″ by 24″ cloth poster, and a 3″ by 4.5″ acrylic diorama featuring the Servants Nero, Drake, and Scáthach, all housed in a custom box. Players on PS4 system can now engage in massive 4-on-4 online battles with up to 7 other players. Foes will quiver at the True Name of players’ Noble Phantasms as they assume the role of their favorite Servant. Players can move freely around their army’s base camp—a medieval cathedral raised into the sky—and interact with their Servants to build meaningful bonds. Players can experience refined combat mechanics and graphics through the game.